The world richest man and the principal founder of Microsoft, Bill Gates, who is one of the greatest digital & technology savvy in world’s history has finally joined Instagram. He took to his new Instagram Page to share Some inspirational photos of himself with some primary school kids in Tanzania, Africa. 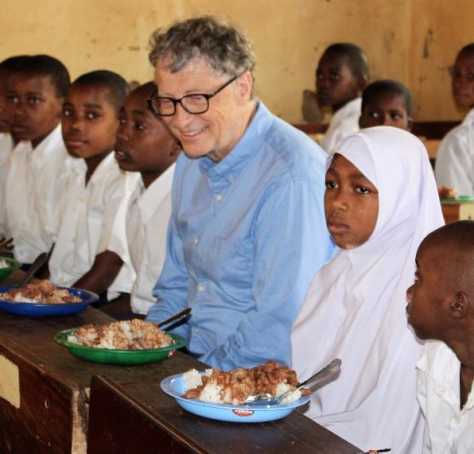 Bill Gates captioned the photos with a very motivated article which shows that he is in Tanzania for his part of philanthropy gestures. According to some sources, Bill Gates has been using a huge part of his wealth for philanthropic work across the world if not for that, Becoz of Amazon wouldn’t have overtook him for half-a-day. But notwithstanding, Bill Gates still retains the position of the world richest man since 18 years in 23 years of Forbes ranking.